Whilst every effort is made to ensure the accuracy of the information on this website, errors may still occur. Please check with us any details which you feel may affect the viewing or purchase of any vehicles or items listed on this website. As a responsible vehicle trader we welcome any inspection by the purchaser. By agreeing to purchase any of the vehicles or goods we have available for sale, the purchaser confirms his acceptance of their quality & fitness. 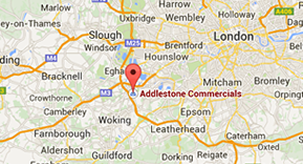 No warranty or guarantee in relation to any vehicle on our website is given by Addlestone Commercials, nor implied by the purchaser. All our commercial vehicles are subject to VAT at the standard rate, unless otherwise indicated. The above goods remain the property of Addlestone Commercials until paid for in full & any payment cleared, where upon title passes to the person or company stated on the relating sales invoice. Addlestone Commercials will not be responsible for theft, loss or damage of any kind relating to a vehicle where ownership of the vehicle has passed to the customer, and the vehicle is not under our custody & control.